As tax season kicks-off, City of Chicago officials stated they will provide an additional $500,000 in funding to help Chicago’s working families who qualify for the Earned Income Tax Credit (EITC). Each year nearly 100,000 – or 25 percent of eligible families in Chicago – do not take advantage of the EITC, leaving over $230 million in unclaimed refunds. These additional resources will ensure that Chicago working families do not bear the brunt of the fallout from the recent fiscal cliff negotiations, which forced the IRS to give working families even less time to file for the EITC by cutting the tax season by two weeks. The new $500,000 investment is from remaining funds from the $11.9 million the City collected last year’s income tax claw backs from nearly 73,000 scofflaws. It will be dispersed to the Center for Economic Progress and Ladder Up, two non-profit organizations that currently provide free tax preparation services to over 18,000 Chicagoans. The funds will allow each of the organizations to expand the hours and number of days at sites allowing 7,000 more families to have access to free tax prep services over the next two years. 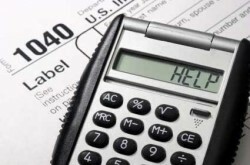 If you are searching for additional information about EITC, visit www.TaxPrepChicago.org.